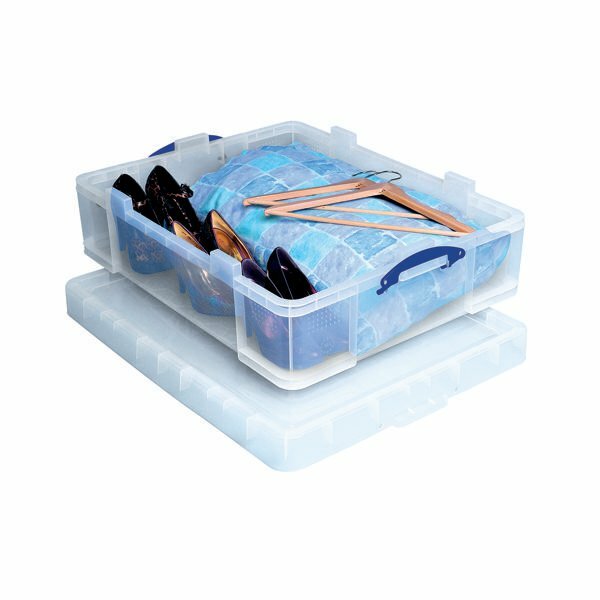 Store linen, bedding, towels, shoes or anything else that you might want to in this 70 litre capacity clear box. The box is ideal for storing items under the bed and is made from transparent plastic for easy viewing of contents, meaning that you won't have to open or move about the box in order to tell what is inside. Made from high impact polypropylene, the box is strong and durable and will withstand storage of heavy items.